Welcome to the wonderful washable world of Quatrine! Since our humble beginnings in 1989, we have rapidly become the industry standard for slipcovered and upholstered furniture. We are known for perfecting the washable slipcover, which comes with many styles of our custom furniture. All of our slipcovered furniture can be ordered as a traditional upholstered piece if you prefer. Either way, you can always order additional washable slipcovers for your Quatrine furniture at any time in the future. Take a look at the beautiful styles that we offer for your home. We feature an incredible array of choices for you to create your dream decor. As our clients have demanded more and more of Quatrine product, we have filled our shops with over 500 rich fabrics to choose from, 40 different furniture styles, and plush whimsical, downy pillows which compliment our furniture collection. We invite you to take a peek at all the amazing things we create every day at our Long Beach, California manufacturing facility. At Doug Mockett & Company we strive for simplicity in design and a spareness in execution. We have done so for 30 years. We are the leader in innovative furniture components and architectural hardware. Please enjoy our extended product lines in Wire Management, Power & Data Grommets, Furniture Legs, Drawer Pulls, Casters, Coat Hooks, Shelf and Work Surface Supports; Kitchen, Bath and Closet accessories, new ideas in Computer-Into-Desk Integration and a terrific line of Multi-Purpose Support Brackets. Take your time on any buying decisions. If contemporary is your style, don’t buy something traditional because it’s on sale. Many California home furnishers offer interior design consultations or room planning guides to get you started. Whether you decide to work with a home decor specialist or to become your own expert, it’s important not to rush the furniture-buying process. Visit plenty of Hermosa Beach, CA showrooms and stores so you can feel comfortable with your purchase. Find furniture and accessories manufacturers, showrooms and retailers on Houzz. 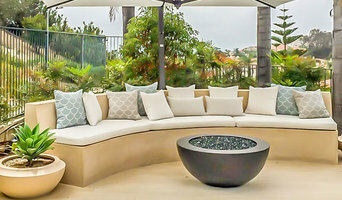 Narrow your search in the Professionals section of the website to Hermosa Beach, CA furniture and accessories, then choose the nearest metro area for showrooms and retailers. Or you may want to look through California photos to find designs you like and contact the furniture manufacturers and showroom galleries directly.